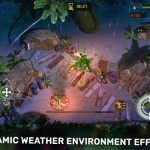 ZED is another one of those zombie apocalypse-themed games for mobile devices, and it was updated just a few days ago by a developer that simply calls itself NULL. The game takes place in a post-apocalyptic world where the dead have risen and feed off the living, as zombies have begun their attack on mankind. 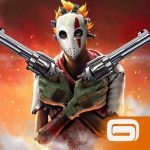 Your role is that of a member of a decimated military unit, and what you’ll have to do here, with all the weapons and perks you can unlock or purchase in this game, is to run and fight to survive. If you’re thinking about the game’s quality, it has received a Chinese honorable mention award in gaming, which potentially puts it at par with higher-profile zombie titles. It won’t be easy surviving a zombie apocalypse, and it won’t be easy either to keep running from the zombies when you aren’t defending yourself from them. Now, our compilation of ZED tips and tricks could help you get rid of more zombies, while also surviving longer and making more out of your run. It’s the zombies in front that will typically be the ones you want to kill before the others, but it is possible to shoot and kill background zombies. 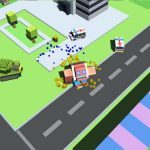 Don’t think of it as a waste of effort and bullets used needlessly – would you say that if we tell you background zombie kills earn you 25 coins per pop? This is a staple of games of this kind, or any type of first-person shooter/shooter game, for that matter. There are barrels in the game which you can shoot, and after that happens, they will explode and potentially kill large zombie groups. The barrels may not be colored red like they usually are, but you should still be able to get the idea and fire at them so you can take out multiple zombies. Just as a warning, ammo can be very hard to come by in ZED. 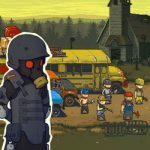 It isn’t as easy to collect as it is in other zombie games, so you’ll really have to preserve your ammo and save it for a moment when you may really need it, for example, when the game picks up its pace and more zombies are entering the picture. The common-sense thing to do here is to leave your ammo as it is, as long that there aren’t any zombies around that could pose a threat. There is, however, a downside to this strategy – you won’t earn as many coins or experience points if you just leave your ammo as-is and don’t kill any threatening zombies. One final example you can use when it comes to saving money on ammo is to adjust all the gun settings to Fire Single Rounds, as opposed to automatic or burst modes. This could allow you to focus more on improving your kill count and earning more money.